Welcome to Mount Olympus mortal! In here, you will test your strength and luck! If you pass the trials, you will be awarded with a bag full of coins! Or, you know, gods can end all wars on Earth. Hmm? You prefer the coin bag? Just as we thought! 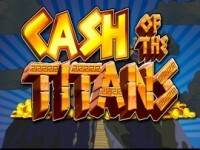 Cash of the Titans casino slot game comes from Ash Gaming online slots and it is one of the most successful progressive jackpot games out there. Graphics are cute and fun, also the music is very energetic. Game has 5 reels and 20 paylines. – Divine Discus: A godly statue appears behind the reels and throws up to 5 discs, each disc will turn a symbol into Wild. Shamrockers - Free Spins 20 Line Slot from IGT. Nouveau Riche - Free Spins 20 Line Slot from IGT. Medieval Money - Bonus Feature 20 Line Slot from IGT. Goddess Of Life - New Bonus Feature 20 Line Slot Machine. 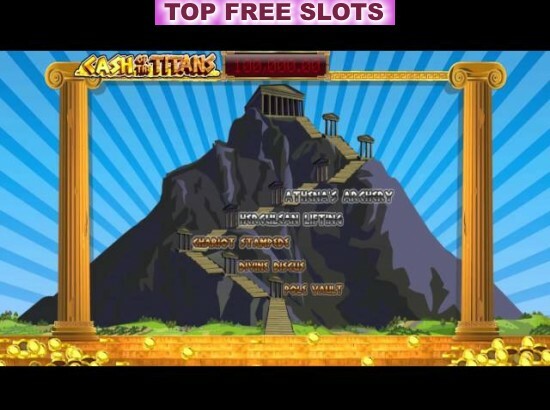 Stash Of The Titans - Free Spins 20 Line Slot Machine. Achilles - Free Spins 20 Line Slot Machine.